Kansas City Kansas – Page 4142 – Welcome to Wyandotte Daily! 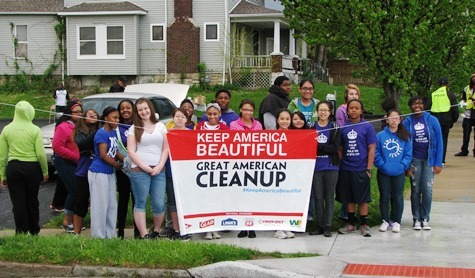 Douglass-Sumner Neighborhood Association held its annual Operation Facelift neighborhood clean-up day on April 27. About 40 student volunteers from Sumner Academy helped pick up trash in alleyways, streets and residential yards. Douglass-Sumner Neighborhood received funding from Livable Neighborhoods and Greater Kansas City LISC for the event. The residents helped by preparing the food for the event to feed the volunteers. Attending the event were a Kansas City, Kan., police officer; Beatrice Lee, a neighborhood leader; and Angela Eley, a former LISC staff member. 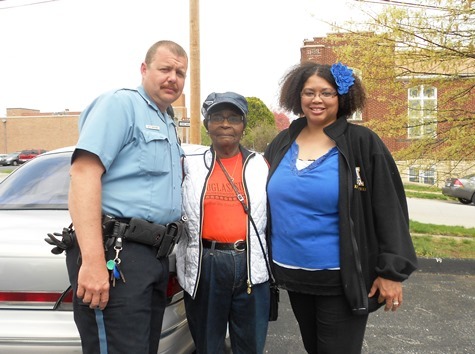 Douglass-Sumner Neighborhood Association held its annual Operation Facelift neighborhood clean-up day on April 27. About 40 student volunteers from Sumner Academy helped pick up trash in alleyways, streets and residential yards. Douglass-Sumner Neighborhood received funding from Livable Neighborhoods and Greater Kansas City LISC for the event. The residents helped by preparing the food for the event to feed the volunteers. Sumner Academy student volunteers gathered for this photo. The Kansas Supreme Court today upheld the conviction of Dominic Verser on first-degree murder and criminal possession of a firearm charges in a March 2009 shooting death. The case involved the death of Olivia Anaekwe, the mother of Verser’s child. The court unanimously affirmed Verser’s convictions, originally in Wyandotte County District Court. Among other rulings, the court held that the district court committed both statutory and constitutional error when it failed to read an answer to a jury question in open court and in the presence of Verser. However, the error was harmless in light of substantial evidence against Verser. The court also held that when the testimony of a state’s witness has been so successfully impeached that it is shown to be a fabrication, and the defense chooses to continue the trial in order to use the testimony to its advantage rather than argue for mistrial, any error in failing to grant the state’s motion for mistrial is, at most, invited error that cannot provide relief on appeal.